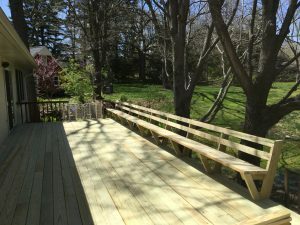 We’ve done quite a few decks over the years but it is still amazing how radical of a change a new deck can make to the atmosphere, appearance, and vibrancy of your back yard. 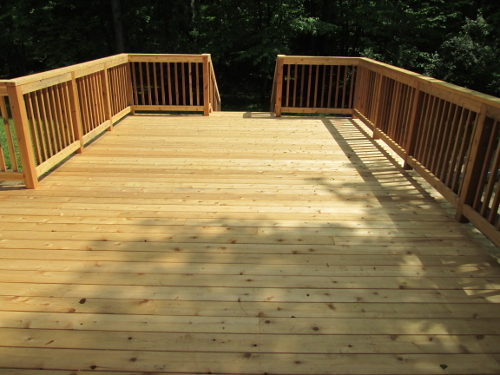 We had the pleasure of finishing a deck this month that did just that! 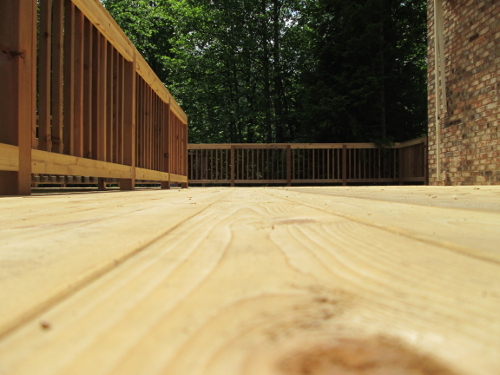 Before we got involved, the customer had a deck that was very worn and had some design flaws. 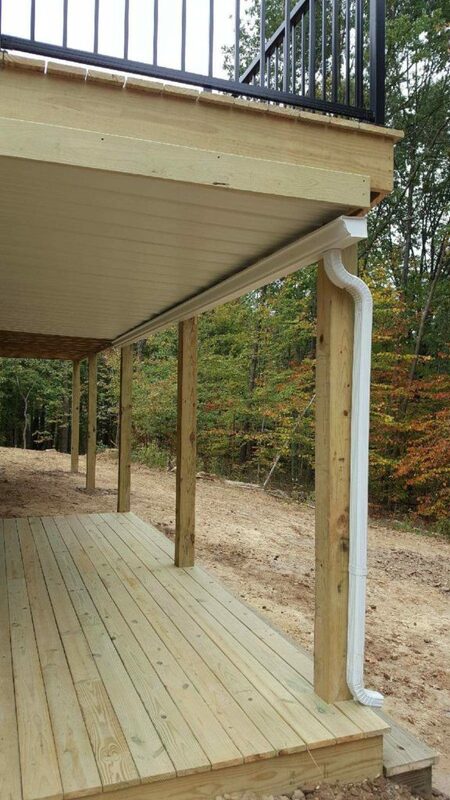 The customer wanted to replace their existing deck with something that would add value to their home and increase the use of their backyard. 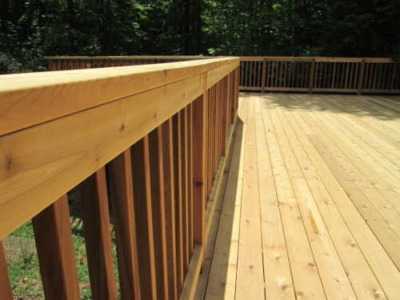 So, they contacted us for an estimate – good call! 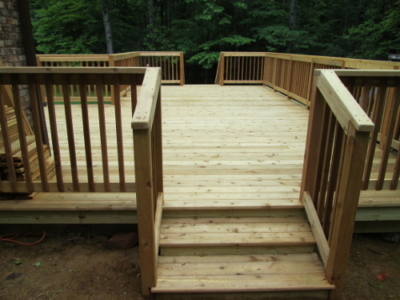 A new deck similar in size and layout to their existing but without the strange step-downs and chopped up handrail. Cedar decking and handrail. Cedar is slightly more expensive than treated but the finished product has a warmer and cleaner feel to it. 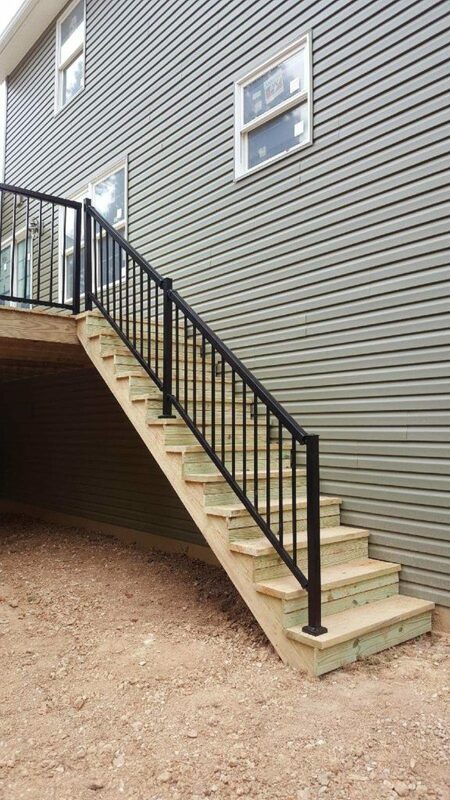 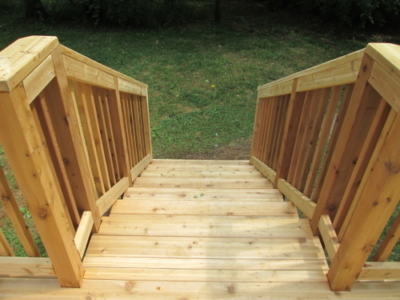 A staircase leading down into their backyard which wasn’t a part of their existing deck. 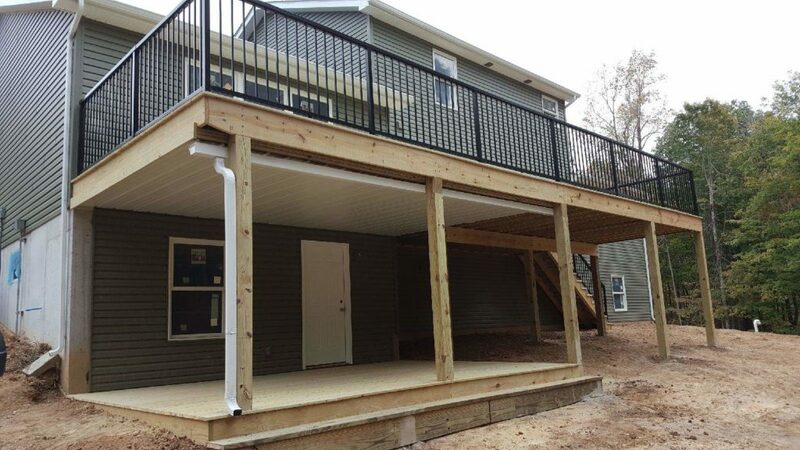 A new patio door and exterior side door. 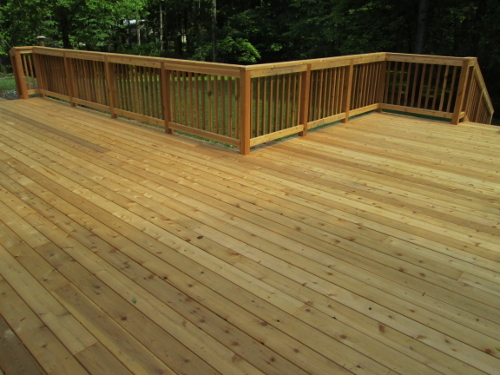 We were able to give them a price for this new deck which included all the desires they had for this project. 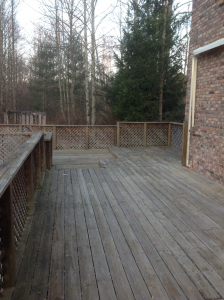 The estimate came in within their budget and a couple of months later the customer was enjoying a beautiful cedar deck and new patio doors! 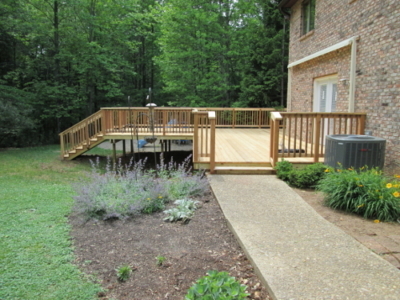 We love helping our customers turn their desires into reality and transforming their backyard with a beautiful new deck. 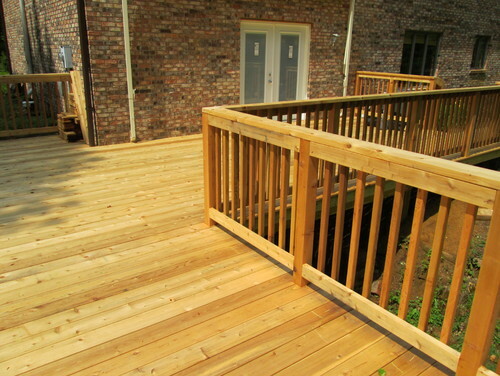 We’re also Houzz users . 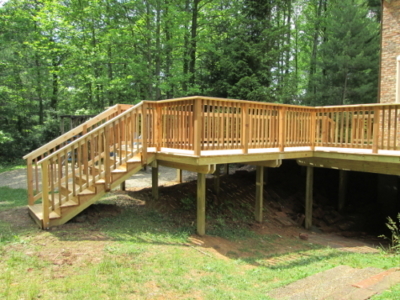 . .
Hey all, check out this video of a deck we just finished up last week! The customer was wanting to expand the furniture area around their pool with this 16 x 60 foot deck. 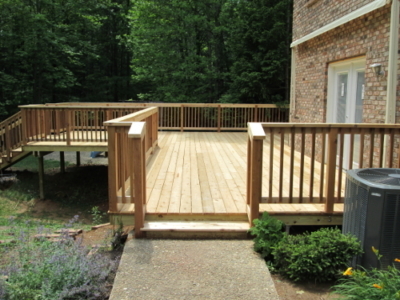 We were able to construct the deck boards to be flush with the existing concrete oval-shaped pool area which made everything flow together nicely.